The function of this page is similar to the same page on the old website, but the technology used is vastly different. In the old webpage, when a change was made to a class, the page had to be edited by hand to incorporate those changes. In the new website, the class information is stored in the database. When a change occurs, the Class Manager will edit the data and it is immediately available on the website. At the top is an internal navigation area. The top line will take you to the different areas of the page. 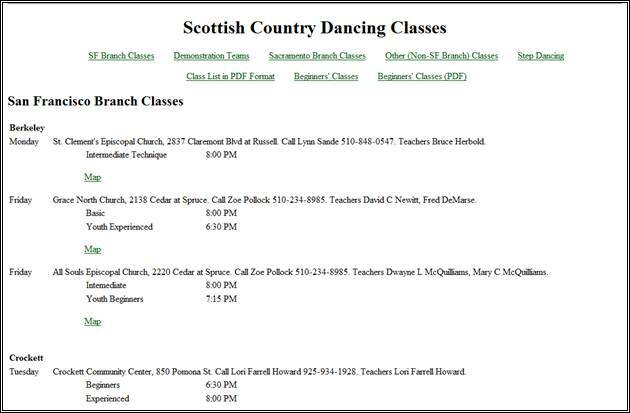 The second line includes links to pdf files which can be printed out and the Beginners Class Page. The above dialog is from Firefox. Just click the OK button. Each class has an entry showing information about the class. 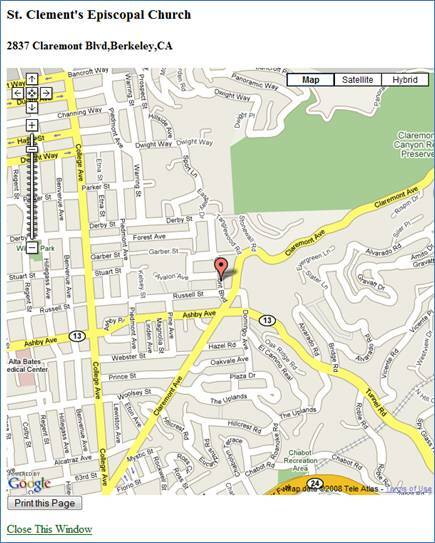 style='mso-spacerun:yes'> There is a map link with each class that has an address displayed that will open a window with a Google map to the class as below.